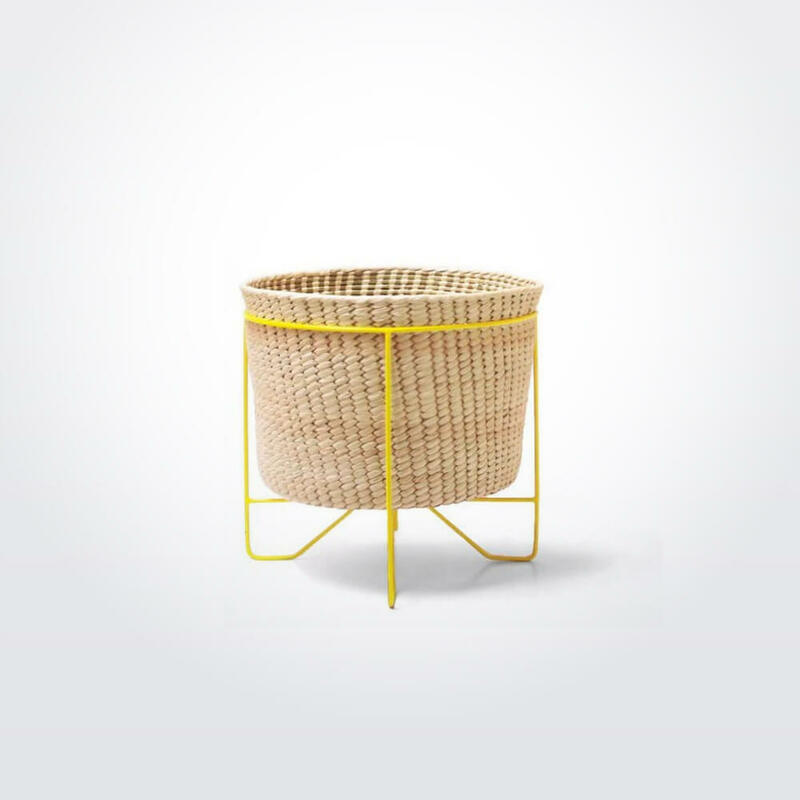 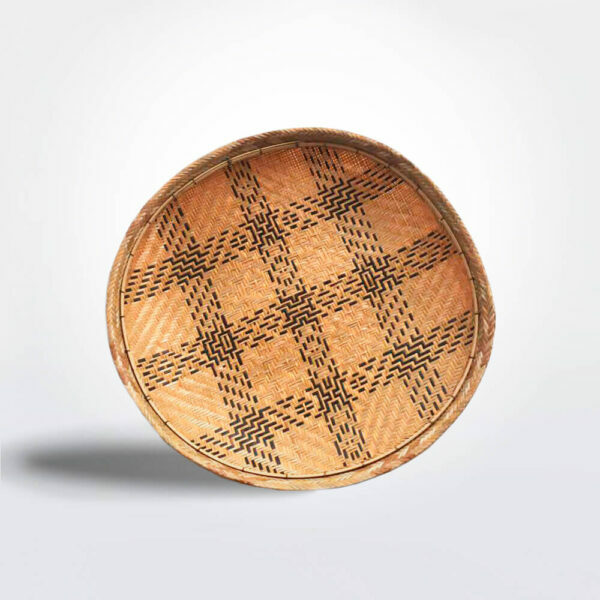 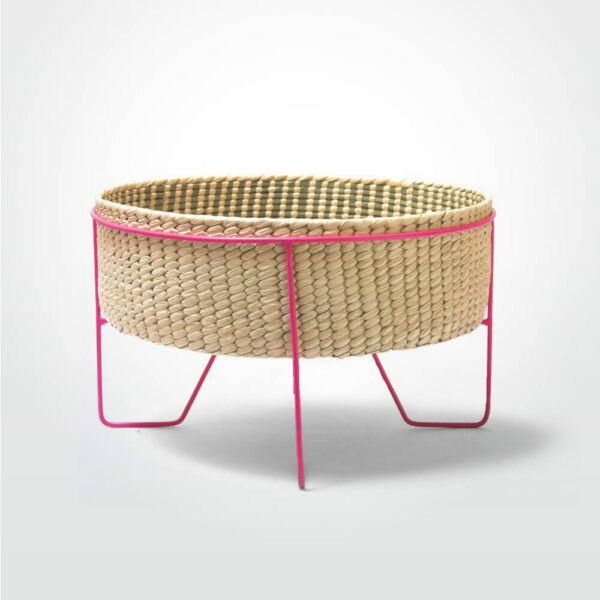 This piece strikes a perfect balance between the work of the two artisanal communities that make it: the natural palm basket, boiled and handwoven into a wonderfully natural and simple shape by artisans from Tlamacazapa, Guerrero, contrasts wonderfully with the bold and clean metal frame, finished in bright electrostatic paint by blacksmiths in Mexico City. 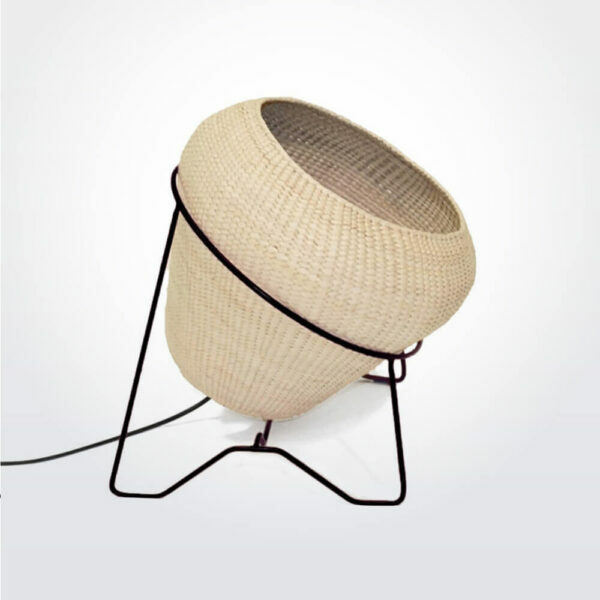 The rich traditions of Mexico are kept alive and well by young brands such as Petate, which produces exquisite contemporary pieces using traditional materials and techniques. 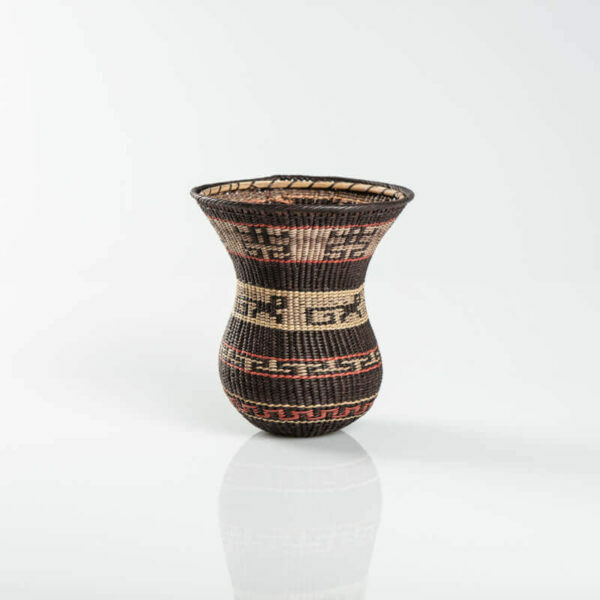 This melding of old and new is the embodiment of development and is how Mexico’s rich heritage of crafts is living and prospering into the future. 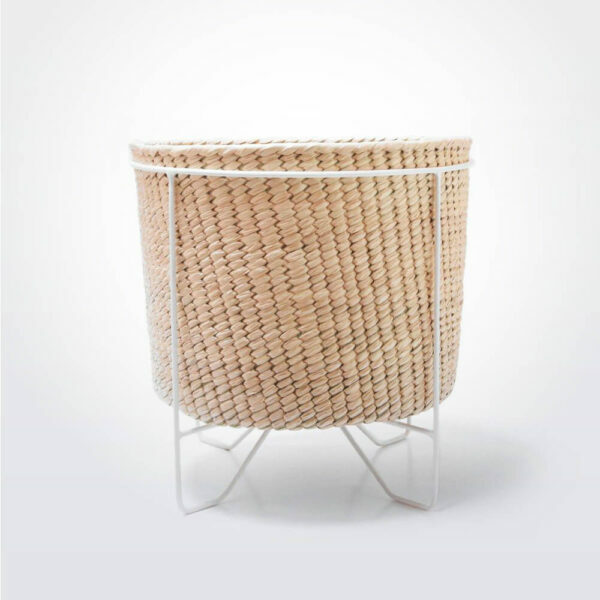 These simple and robust pieces have been created collaboratively, with the expertise and knowledge of the artisans playing into the design process as much as production. 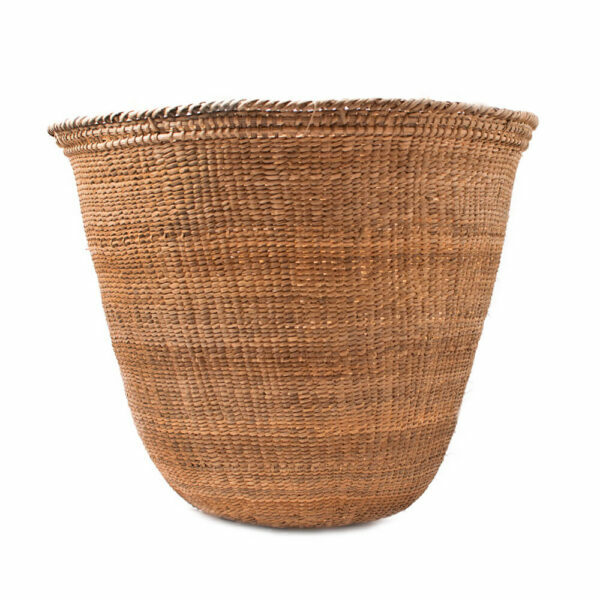 The production is also informed by the social and cultural contexts of the producers; Petate respects the fact that the talented inhabitants of Tlamacazapa only have a few liters of water per day, which makes dyeing a dangerously wasteful process. 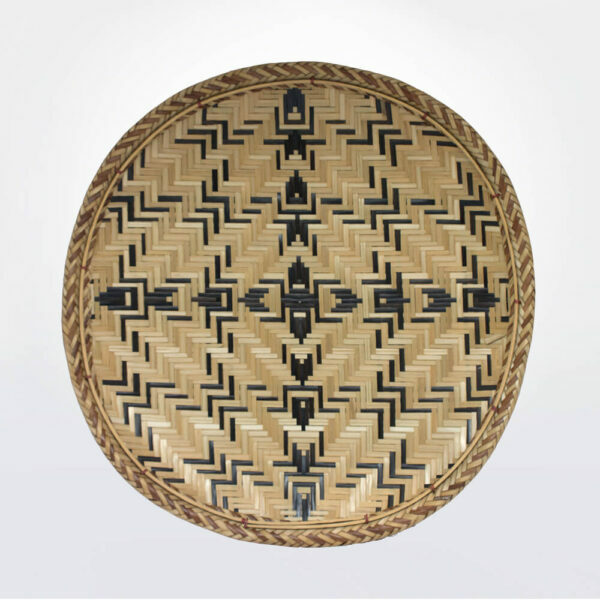 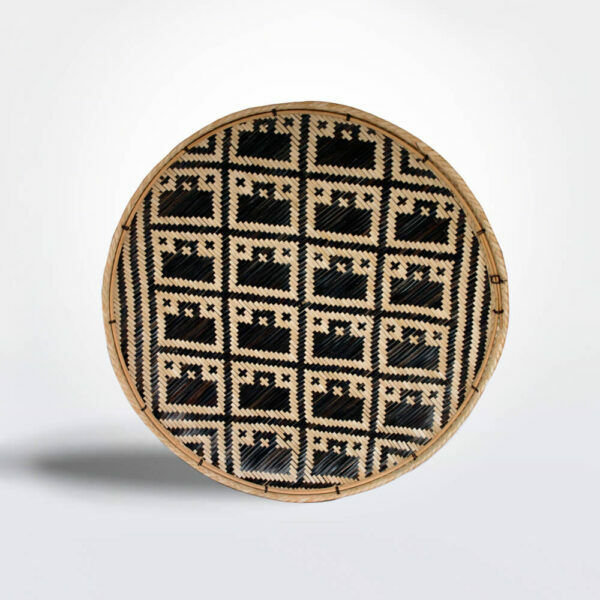 As a result the traditional palm weaving practice has been adapted, with wonderful and meaningful results. 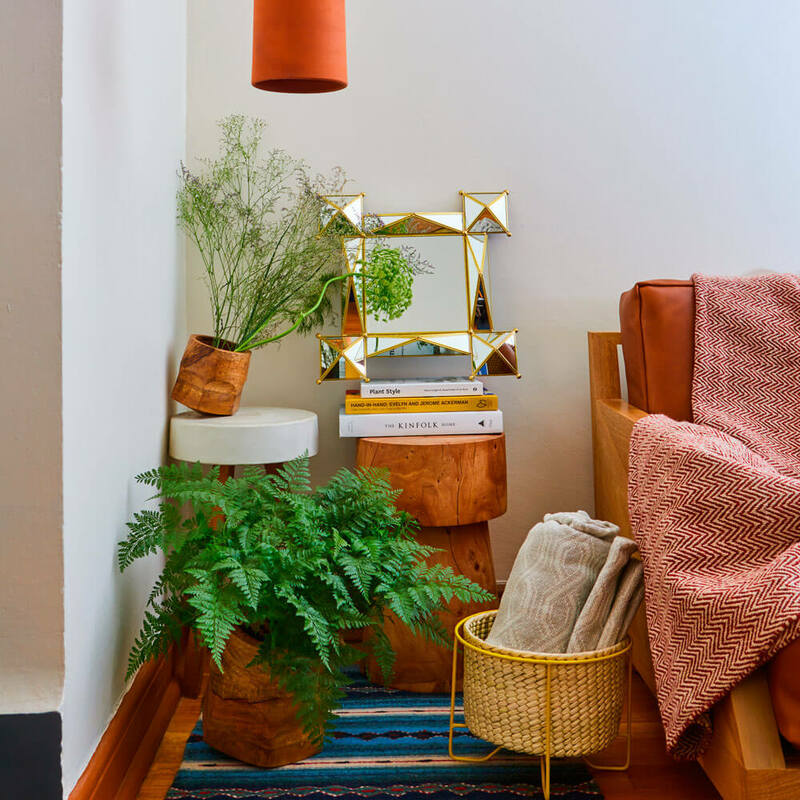 Tradition, respect and sustainability are all rolled into one with Petate, a Mexican brand that’s on the right track to our hearts, our homes and a better, more tasteful world.